A one-time upstate NY farm girl, now shopkeeper, loved a NY-sourced and milled yarn that was discontinued by its distributor. 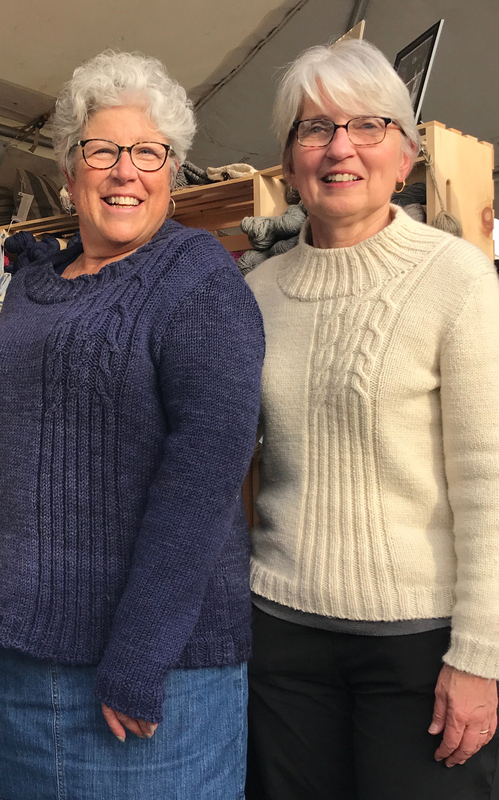 She called the former engineer, turned mill owner, who had produced the yarn for the distributor, and got her to make more of the yarn just for her shop – and that was the beginning of this unique partnership. With the new yarn in hand, we started thinking about our entire region and wondering what other partnerships for sustainable sourcing and processing might be possible. Could we go further than hand knitting yarn? Could we expand our partnership to some of our other fiber friends in the Hudson Valley? So to start, we reached out to teacher and researcher Laura Sansone at NY Textile Lab, sheep farmer and shop owner Paula Kucera from White Barn Farm, and designer and maker Kathy Fogarty of Midnight Mercantile. They agreed with us that a sustainably sourced and processed farm-to-fabric supply chain was essential. And the Hudson Valley Textile Project was born! Together, we decided to take action and develop a regional network of like-minded people in the Hudson River Watershed. The Hudson Valley Textile Project is a community of farmers, dyers, millers, designers, makers, distributors, and retailers who have come together to share their knowledge and resources. We also share a concern about environmental and community impacts of the current mass market fashion trend to quickly-discarded, garments and home goods that are often poorly made, generally with synthetic fibers. To address these concerns and opportunities, the HV Textile Project is planning maker education and consumer outreach initiatives with an expected outcome of expanded investment in materials and finished goods including apparel, home furnishings and home decor items sourced and created in the Hudson River Watershed.